developed and produced in our own laboratory. strong power, good cleaning effect. 304Stainless Steel shell, no rust, beautiful and generous. glassware to lenses to instruments and precision components. Get a safe, unwavering cleaning for even the most delicate of components. 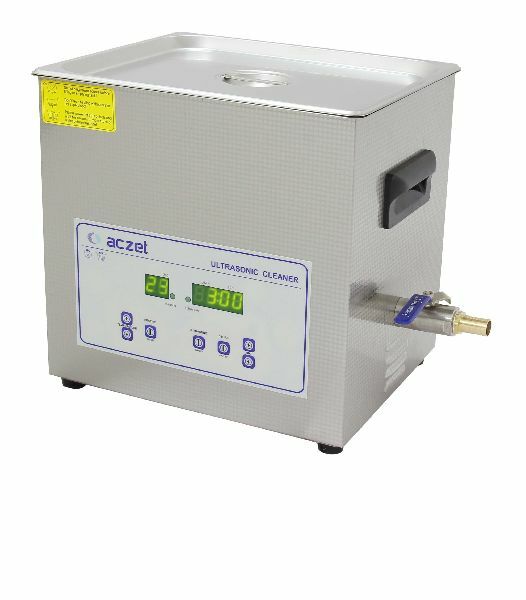 Aczet baths completely remove flux and contaminants from such precision parts as PC boards, SMDs, quarts crystals, capacitors, and many others. preparation and degassing of liquids. Jewellery See the difference and performance of Aczet ultrasonic baths. Thoroughly clean and restore brilliance to watches, chains and charms, settings, coins, fine. The demands of light industrial workflow require an ultrasonic bath that can stand up to the challenge. Our baths are perfect for deep cleaning to remove dirt, grease, waxes, and oils from light industrial parts and components of all kinds - including steel, light & nonferrous metals, plastic and glass. jewellery and clockworks of every type.